Once upon a time, there was a Mexican director with a passion for mythology and a knack for writing a very particular type of emotionally charged, supernatural horror that burrows into your brain and chews its way into your subconscious. If someone had mentioned his name to you in the early 90's, you'd have turned to them, blank-faced, and asked, "Who?" Now, a decade later, you'd say, "Oh! Guillermo del Toro, he directed Hellboy! I love him." Jump across the ocean to Spain and you'll hear a nearly identical tale - one that ends with, "Oh! Jaume Balaguero, he directed the [REC] series! I love him." 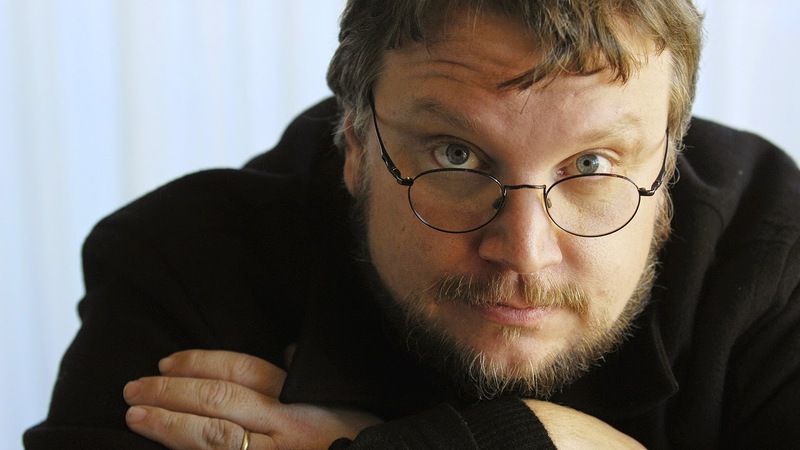 Granted, if we're being honest here, the [REC] movies may be popular but, they aren't even close to being on the same globally successful (or globally known) level as any of del Toro's movies. Which is a shame because Balaguero can be as good a writer and a director as del Toro. A young girl is murdered by an evil cult. 5 years after her presumed death, she calls her mother and begs for help. Her mother becomes obsessed with this cult because she believes her daughter isn't dead and they are holding her captive. She enlists the help of a detective and a journalist (of course). Things end badly for everyone. "Pure Evil" triumphs. Before I go any further, be prepared to encounter the monumental, metaphysical struggle between Good and Evil in most (if not all) of Balaguero's movies. 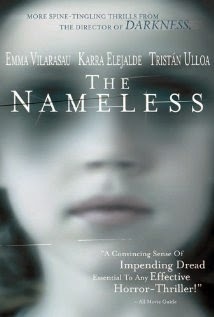 About 2 minutes into The Nameless, I started to wonder if I'd seen this movie before. Then I second guessed myself ("I watch a lot of movies, maybe I've seen something similar.") About 7 minutes in, I was convinced I'd definitely seen this movie before. Then I second guessed myself ("Am I confusing this movie with Martyrs? I am. Definitely. That's what's happening.") Another 3 minutes or so and I knew for certain I'd absolutely seen THIS movie before. Here's the thing, I didn't actually hate this movie so I don't think this is a case of my willfully forgetting I'd seen it already. And it's not just that I've seen this movie before, I've also seen elements of this story and similar cinematography in numerous, contemporary movies: Kiss The Girls (1997), In Dreams (1999), 8MM (1999), Seven (1995), the list goes on and on. Overall, The Nameless reminds me so much of Martyrs that I could see them becoming two movies I can't tell apart in my head. (Lord of Illusions and In The Mouth Of Madness are the two I historically have trouble with). That's not at all to say The Nameless is a bad movie. The acting is very good, the direction is great (if not a little on the slow side), the cinematography is good, and even the story is well written. I implore you: compare this movie to Cronos or The Devil's Backbone and ask yourself, honestly, how del Toro became famous and Balaguero didn't. Family moves into spooky Spanish country home. Turns out, said spooky home was built as part of a cult-ritual in which children must be murdered by their loved ones, allowing "Evil" into the world. Spoiler alert! Everyone dies in the end and "Evil" triumphs (again). I can't completely draw my usual type of comparisons here but, it's something like Suspiria having an illegitimate, demonic love child with Rosemary's Baby and calling it Anna Paquin. I mean, calling it Darkness. I mean, she's not the greatest actress in the world, but there is undeniably something camera stealing about her pouty lips and ever-present, vacant stare. I think she really is the focus of this movie. The real root of the unease this movie creates, aside from Anna Paquin looking vacant, is the horror we feel at the prospect of adults scheming to sacrifice children in order to further themselves in some way. I think we're also twisted into emotional knots because Balaguero has this way of turning truly heartfelt moments into tragic, crushing heartbreak. It's like a story-telling sibling to David Lynch's uncanny ability to create an awkward, uncomfortable, situations that end in a deep, unsettling belly-laugh. 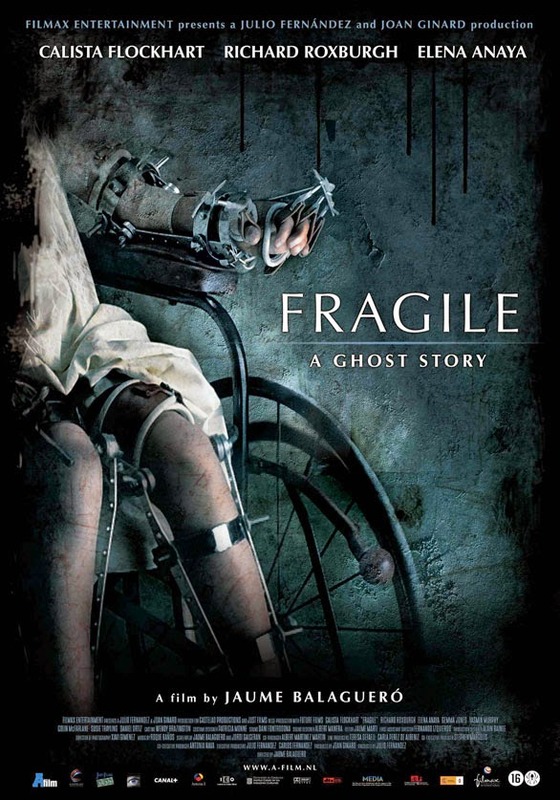 An slightly flighty American nurse finds herself in a run-down British orphanage with a "spooky" past. An angry ghost is trying to murder these hapless tykes and said nurse is determined to protect them. The ensuing clash of maternal instinct and malicious intent makes for an unhappy ending. If this sounds like the setup for a gothic tale, you're right. And if it sounds like many (many) other movies you may have seen in recent years (The Orphanage, The Awakening, The Haunting of Helena), you're also right. This one isn't as immaculately put together as The Nameless but, overall, not a terrible haunted house story. I think the most disconcerting piece of the entire film is the leading actress, (Calista Flockhart) who was once a TV star (and who I NEVER thought of as a "serious" actress)), actually turns in a fairly impressive performance as a self-doubting nurse desperate for a chance to redeem herself. Alright. That's not fair. The scares are valid and not too cheesy. The acting is pretty solid. The direction is good. The real weakness is the ending; not many folks are good at writing an ending to a haunted house movie. A TV reporter gets called out to cover the worst story of her life - what turns out to be the outbreak of a zombie apocalypse. Spoiler alert: she doesn't get an Emmy. There's about a million zombie movies kicking around and a variety of ways that those zombies have come into existence. Unless you're an old Cronenberg fan, you haven't seen a lot of my favorite zombie metaphor, zombie-ism as a sexually transmitted disease. [REC] takes that viral bent but with this strange twist: the zombie-ism is started by an exorcism gone wrong that "mutates" into a type of infection. This makes for an interesting blending of two sub-genres that I'd typically ignore (individually) because I'm so damn tired of them both. Pause here for a tangent: I think there's some movies that are so indicative of their times that you can't really watch them once that time is over. There are movies that are so ahead of their time when they are made that they seem derivative, watched years later. [REC] definitely falls into this bucket. [REC] is also filled with wonderfully stereotypical horror movie decisions that CAN ONLY END BADLY and leave the audience yelling at the screen, "NO! Don't do that!" Up to and including the lead actress running up the stairs when you're always supposed to run out the door. D'uh. The lesson here? Do yourself a favor and give Balaguero a chance.